Why Does White Hair Turn Yellow? 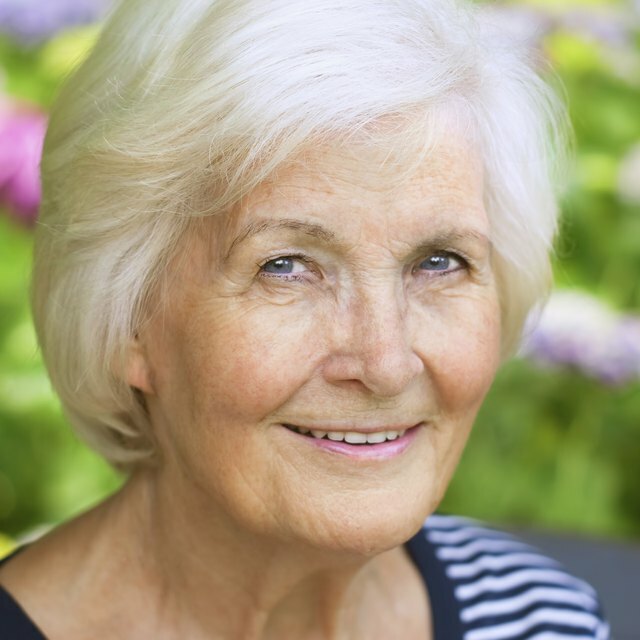 White hair kept in pristine condition can be a sign of graceful aging. Whether you have white hair by choice or due to nature's thrusting it upon you, you'll want to keep it bright and white. Hair becomes more porous as it ages, allowing pollutants easier access to discolor and damage hair. In addition, because of white hair's lack of pigment, dirt, grease and other build-up become much more apparent on white hair than other colors. Keep good hygiene and ensure that your white hair stays exactly that -- white. Condition your hair after you shampoo to plump it up and lessen the chance that pollutants and other debris will stick to it. Protect your hair when swimming in public pools or avoid going altogether. if you do go swimming, wet your hair thoroughly first to reduce the likelihood of chlorinated water seeping into your hair follicles and always wear a bathing cap. 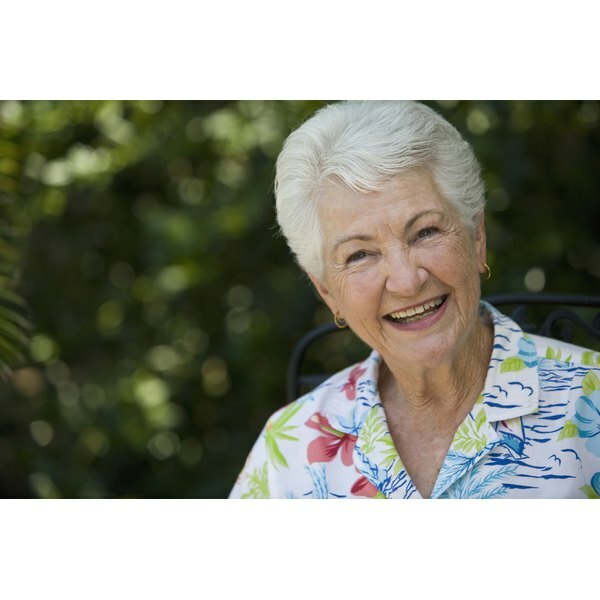 Wear a hat to protect yourself from sun discoloration, which has a yellowing affect on white hair. Wash your hair with a clarifying or extra-strength shampoo at least once a week to remove buildup which may discolor white hair. Use a blue or violet hair rinse or blue or purple tinted shampoos to counteract yellowing and discoloration. Also try rinsing your hair with a bluing solution. Rinse your hair with white vinegar to cut through grime and build-up, let sit, then rinse with cold water and condition. Avoid cigarette smoke and polluted areas which will help discolor your hair. Rachel Wizenfeld worked in nonprofit communications for three years and has written for various publications, including the Jewish Press, the "Los Angeles Blueprint" and a "Chicken Soup for the Soul" anthology. Wizenfeld holds a B.A. in English and communications.